The eSSential Learning Management System (LMS) is adaptable to a variety of organizational and enterprise business models. It is easily molded to meet your business requirements and can be changed at any time as your business changes to meet the ever evolving demands your organization faces. eSSential can be deployed either in our “Cloud” (SaaS) environment or in a client hosted environment. At eLogic, we are as invested in your success as you are. From the moment you first call us, through every step of implementation, to answering all your questions afterwards, and listening to your enhancement requests…we are there for you. 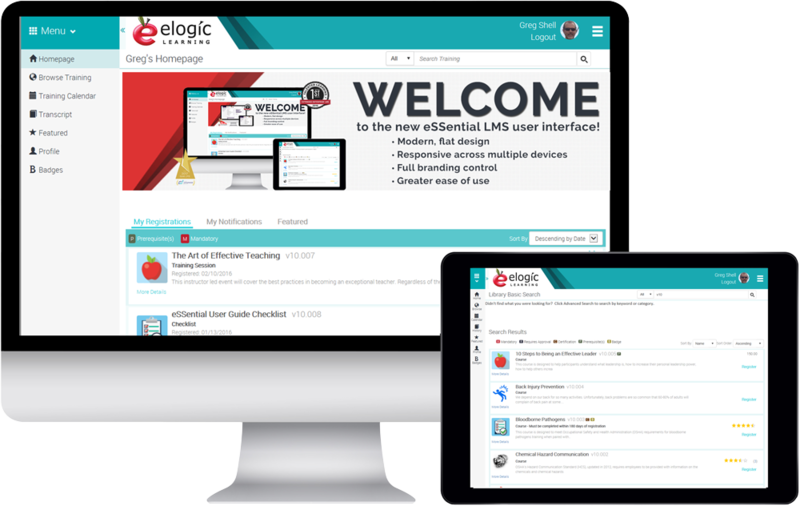 And so is our award-winning LMS software. Create ad-hoc reports that are customized with just the right data and can be delivered automatically and on-demand. If you wanted each user to have a personalized homepage, you could do that. Every email has a response in under thirty minutes, guaranteed. Most issues are solved same-day or within the week. 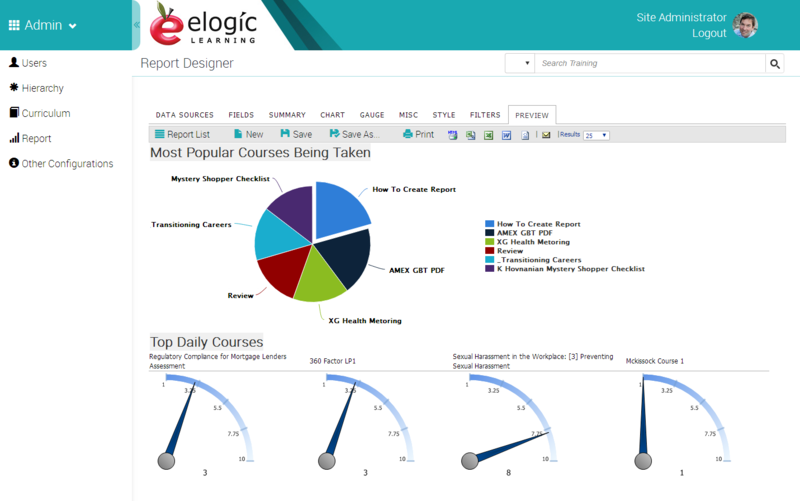 Selected by E-Learning 24/7 as a Top 5 NextGen LMS out of 645 learning management systems. 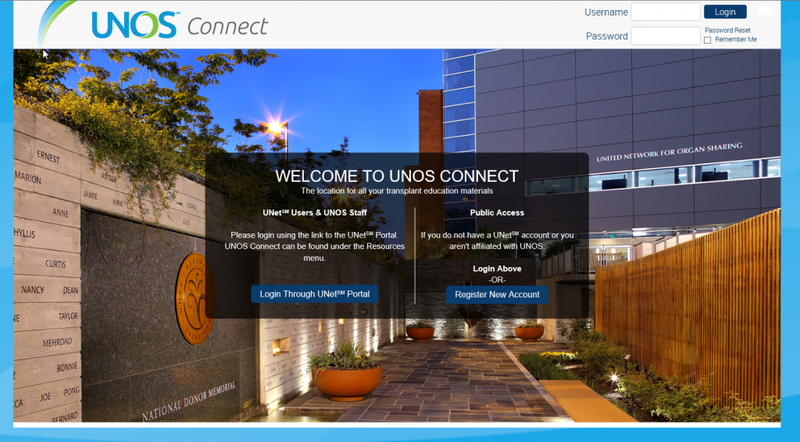 Configure the look and feel of the LMS to reflect your corporate branding. Create a unique LMS portal for each audience (customers, employees, partners, etc.) that you control from one location. Customize course descriptions and images. Design branded templates (email, certificates, etc.) to promote training. Get the full picture of your training’s performance across your entire enterprise. Wide range of standard reports & ad-hoc reporting for creating custom reports. Automatically send reports to any individual or group. See key data at-a-glance with reporting dashboards (active licenses, most popular courses, compliance deadlines, user activity and more). Flexible Organizational & Geographical Hierarchy. Organize users by affinity grouping, department or location for reporting, workflow routing, security, quick registration and more. Unlimited custom fields can be added to a user’s profile and standard fields can be turned on or off. 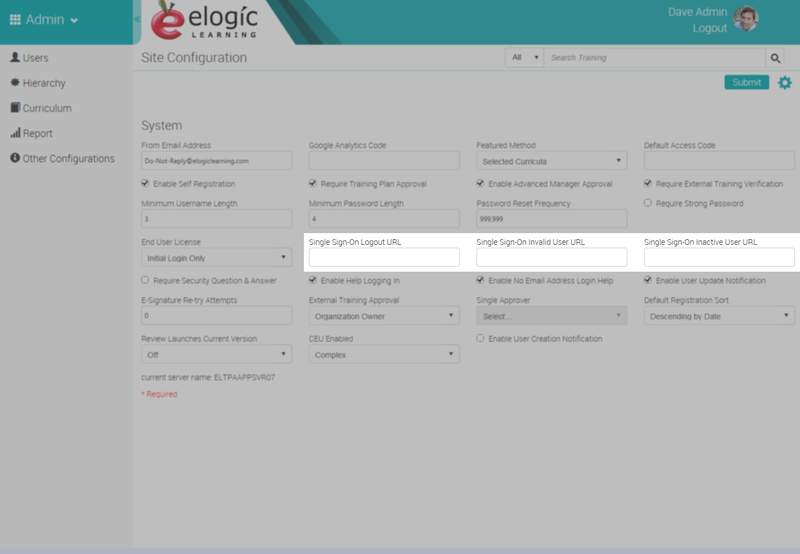 Define level of access for each site and manage from a single site with role-based permissions (Multi-Site Functionality). 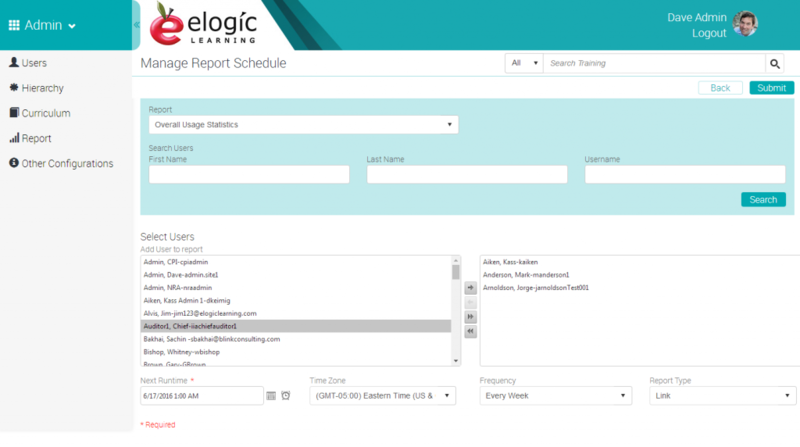 Assign, deliver and track any eLearning content. SCORM certified, AICC & xAPI partner. Upload new versions and track historical versions of courses. Set pre-requisites, hours for completion (continuing education credits), pre and post-assessments, and much more. Outline learning goals or competencies and attach them to content such as courses, library items, checklists and more. 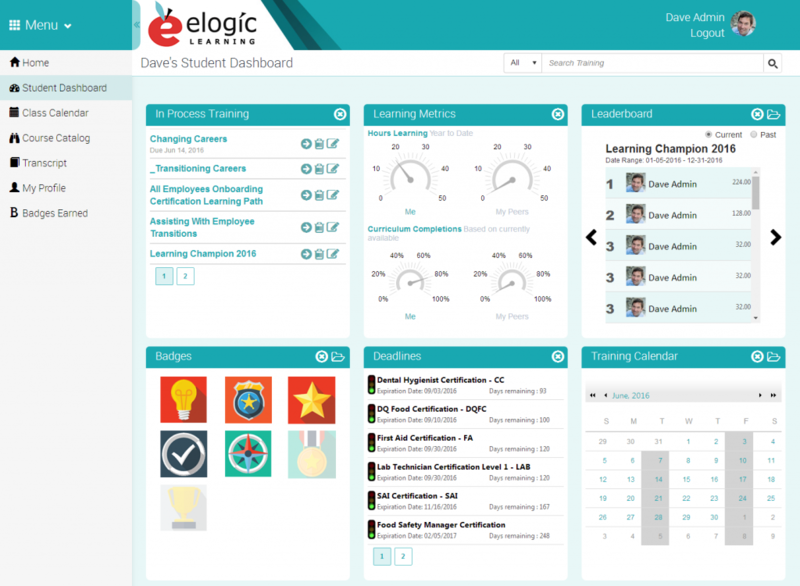 Learners can choose the skin/theme they like best and customize their dashboard (Learning Console) with drag-and-drop tiles. 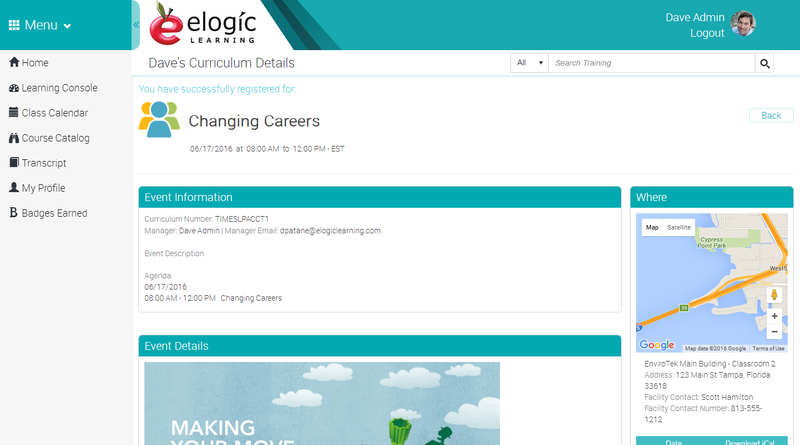 Automated bookmarking allows learners to resume courses where they left off. Single Sign-On (SSO) allows learners to access the LMS securely without another password to remember. Learners can pick their language (45+ languages supported). 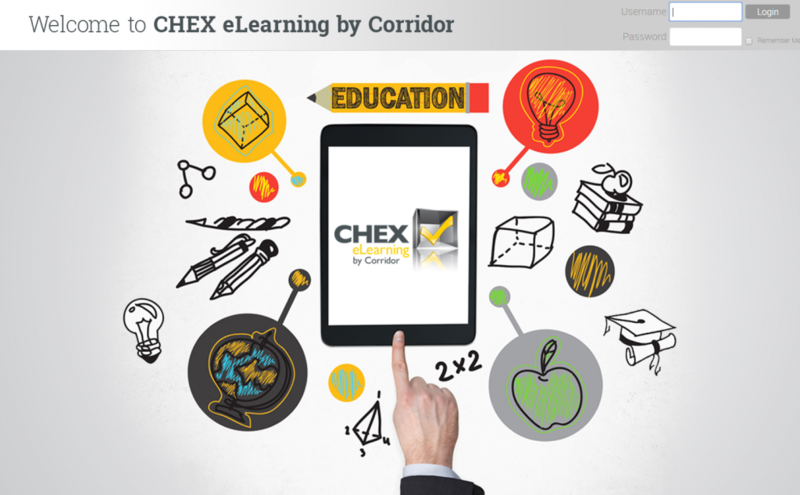 See how our client saved millions with blended learning. WHY BUY AN LMS WITHOUT CONTENT? That’s why our eSSential LMS comes with content bundles, so you don’t have to! eSSential LMS clients will receive a comprehensive e-learning solutions bundle along with our industry-leading LMS. After all, why buy an LMS without content? 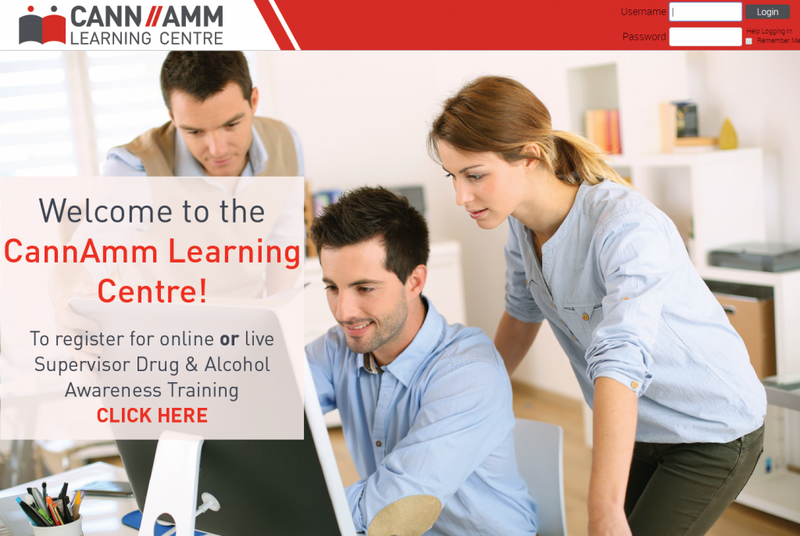 There are traditional e-learning courses as well as video and micro-learning courses. Topics range from managerial/team member skills building to HR compliance, safety, and so much more. 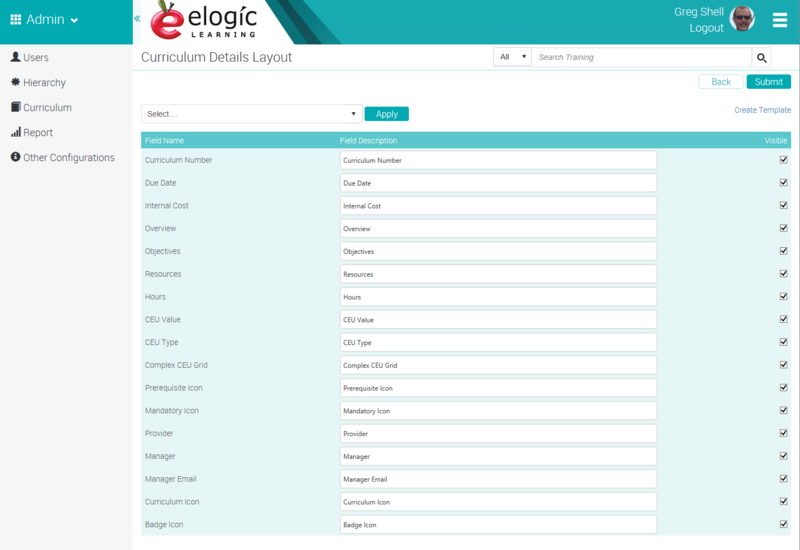 The best part is, everything included in the bundles can be delivered immediately via the eSSential LMS – no need to search for or purchase e-learning courses and an authoring tool. It’s easy, effective & available for a rate you won’t find anywhere else!